Ten years ago, Steve Niles (creator and writer of 30 Days of Night) and Bernie Wrightson (co-creator and artist of Swamp Thing) joined forces to create a comics series like no other! 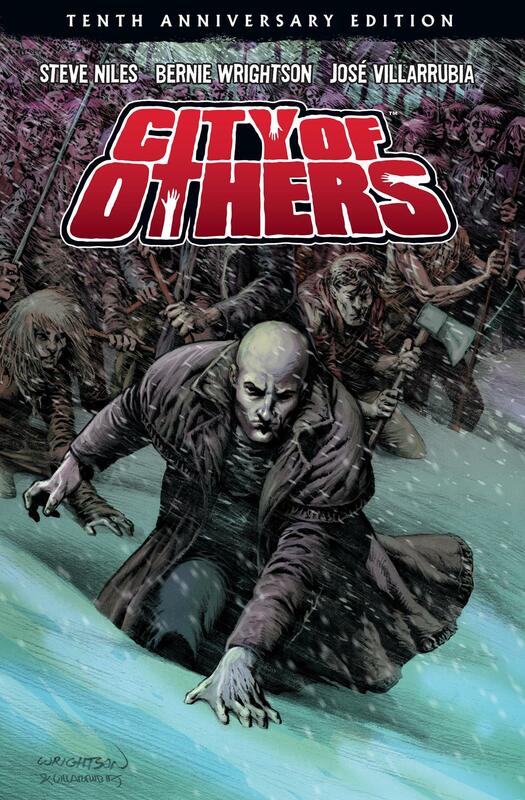 Now, Dark Horse is celebrating the tenth anniversary of City of Others with a deluxe oversized hardcover edition colored by Jose Villarubia. Stosh Bludowski, known simply as “Blud,” is a natural born killer with no human emotion other than rage. Blud spent years making a comfortable living as a contract killer until the day he runs across two targets who won’t die. As a grotesque mystery begins to unfold around him, the remorseless killer confronts a reality he could never imagine, and is invited to decide once and for all . . . is he human, or is he Other? 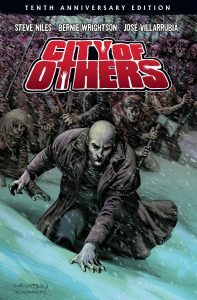 Collecting all four issues of the original comics series, City of Others: Tenth Anniversary Edition HC goes on sale June 5, 2019, and is available for pre-order at Amazon, Barnes & Noble, and your local comic shop.